The new Zero pant has been totally re-imagined. No longer is it a hybrid 4-way stretch pant (using both stretch and non-stretch materials), but now a complete 4-way stretch unit in its entirety. 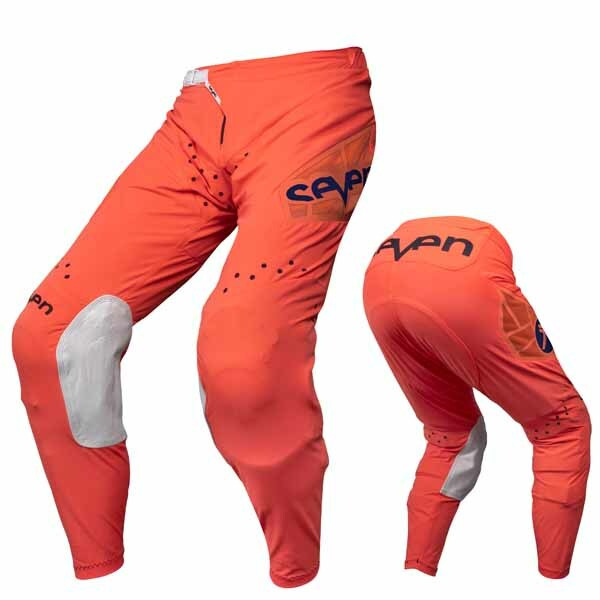 This makes the all new Zero pant work in unison with the human anatomy, allowing for unmatched mobility. We used a new much more durable 4-way stretch Nylon material throughout the entire pant. This new material is also extremely lightweight, making it feel as though you're not wearing anything. A slimmer overall chassis cut keeps excess bulk and material drag to a minimum. This pant should not move on you unless your body moves. Our experimentation with shoe technology has finally made its way to production. On this new Zero pant we have a durable shoe-tech screen material panel with a thin TPU overlay for guided air flow. Several laser cut holes in strategic locations also aid in body heat management. This pant is for the athlete at the highest level of our sport.